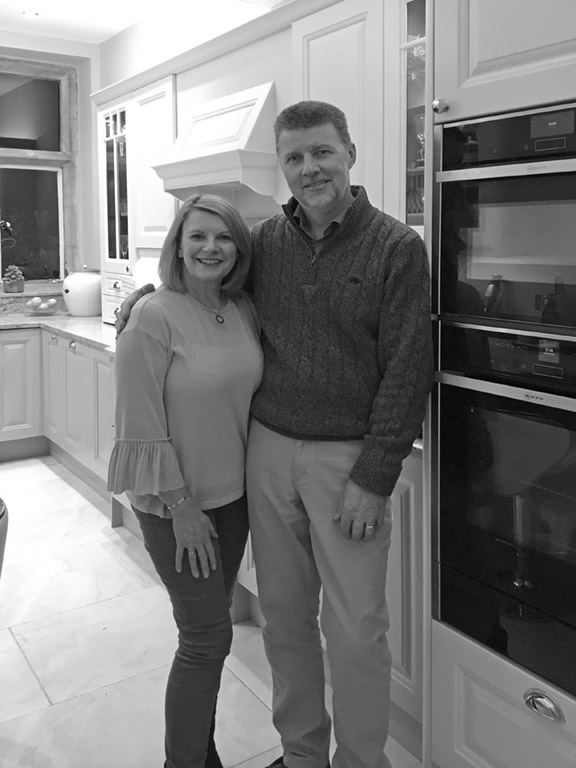 C W Kitchens and Bespoke Joinery is a family run business owned by Warren and Carole. We pride ourselves in offering prompt, flexible and professional service. Carole takes care of the back office and Warren heads up our design services. We know that you want your new kitchen to look stunning, but we also realize that it needs to be functional and allow you to be efficient with your time. As part of our initial consultation, we will get to understand and build a picture of how and why you would like to use your kitchen. Warren for the last seven years has been working for one of the UK’s market leading companies of bespoke furniture, designing and selling bespoke furniture in people’s homes. As we are in people’s homes daily, we get to hear about your refurbishment plans and many are looking to replace their existing kitchens. We thought we would set up a kitchen business to help not only some of our existing clients, but anyone who wants a good quality kitchen at the right price. As part of our offering, we can bring together a number of skilled professionals including builders, plumbers, electricians and of course highly skilled carpenters. 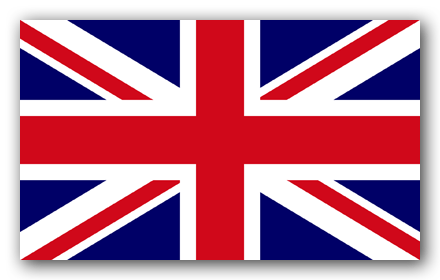 All our kitchens are British manufactured and come with guarantees ranging from 5 to a market leading 25 years, dependent on the range. Carcasses are factory manufactured with 18mm back and sides, all drawers and hinges come with soft close as standard and some of our kitchen cabinets can be colour matched to suit your colour preferences. We do not have a showroom and therefore do not carry this expensive overhead as part of our business, so we can pass these savings directly onto our customers. Warren and his team will be fitting your kitchen, so we can retain control of the project and ensure that the kitchen is fitted to the very high standards we set ourselves and our customers would expect. Our kitchens range from modern contemporary high gloss, matt and textured finishes through to traditional solid natural oak and painted hardwood as well as composite painted finishes, we should have something for every budget. The entire project was managed with a precision and customer requirements in the mind. I am very impressed with the support and expert advise given to me. The result is a beautiful kitchen that came under the budget. The attention to detail and time management is excellent, I could not recommend this company enough. Very pleased with my new Utility Room makeover and the dogs love their new sleeping area! It’s only a small area but the additional storage is already being put to great use. The weather was kind to us an allowed Wojciech to carry out the cutting etc outside. He consulted with us all the way through the process to ensure everything was fitted as we wished. Thank you for a job well done we would have no hesitation in recommending your services. A cheque for the final payment as been put in the post today. 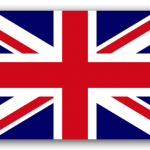 Many Thanks Mrs Gillian Channing – Fairford, Gloucestershire. Hi Warren, just to let you know Wojciech finished the fitting as far as he was able due to a further issue with the pipes behind the washer, we found Wojceich to be a lovely fellow an an exellent fitter and a very hard worker on Friday he arrived at 9 am and worked till 7pm and cleaned up and took all the rubbish away! He is a Brilliant asset for your business and easy to get along with, he has some dam fine carpentry skills and nothing is too much trouble for him, I think his most used phrase was “No problem ”, he explained everything he did and why and we were very happy with his work and all the little finishing touches he did. So a Big Thank You to Wojciech and CW Kitchens. Kind Regards Tony and Ann – Stourbridge. 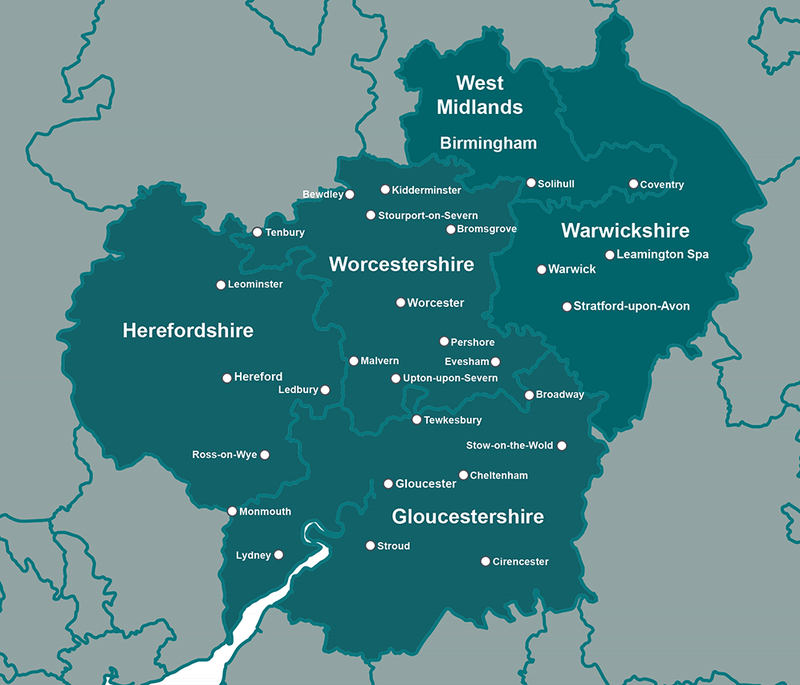 Areas we cover Herefordshire, Worcestershire, Gloucestershire, Warwickshire, Birmingham and the West Midlands.